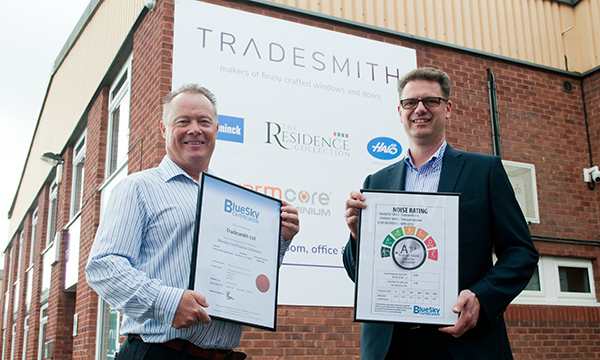 Picture above: Simon Beer of Bluesky presenting Mark Hutchinson, MD of Tradesmith with a certificate verifying their noise reducing windows. Tradesmith, makers of finely crafted windows and doors, is leading the market as the first PVC-U fabricator to make a range of Bluesky certified acoustic windows. The fabricator which is based at Hailsham, East Sussex, is the first PVC-U fabricator to have achieved Bluesky’s new certification – with a 001 designation! – and has a range that includes A++, A and B noise rated windows. The windows, which are suitable for domestic and commercial projects, offer real protection from noise pollution for properties in high noise pollution areas – near busy roads, airports, train lines as well protection from noisy neighbours, night clubs and schools. 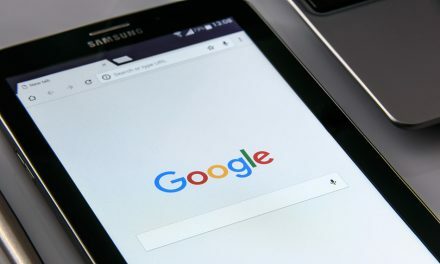 Reports from the World Health Organisation make clear that noise pollution can have a severely detrimental impact on health and well-being, and a reduction in the general quality of life. Recent studies have linked excessive noise to cardiovascular disease, heart attacks, and a reduced performance at work and school from interrupted sleep. Even without the impact on the health of residents in high noise areas, acoustic windows make for a more pleasant home and work environment. And demand for such windows is on the rise. Mark Hutchinson, MD of Tradesmith comments: “Unwanted noise is a blight on people’s lives. More than one in ten house moves is reported to be to escape unbearable noise. We’re delighted to be the first PVC-U fabricator to achieve Bluesky acoustic certification and can supply A++, A and B rated windows which provide the gamut of effective solutions for unwanted noise. Tradesmith makes windows for installers, builders and developers across the South East, where a high proportion of homes and businesses are impacted by noise from Heathrow and Gatwick airports, road traffic, noisy neighbours and even from the sound of the seagulls. 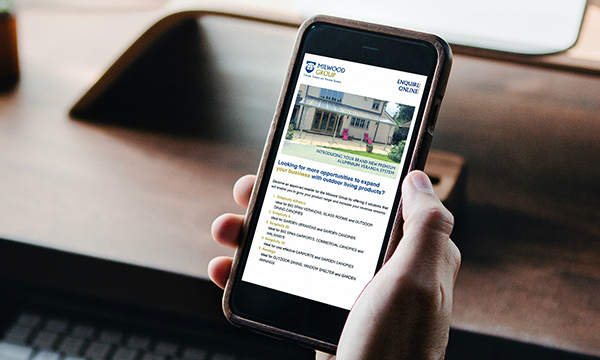 Tradesmith has been certified for three different profiles: the A++ rated VEKA Halo Twinsash, A rated Warmcore aluminium windows and the B rated Deceuninck Tilt & Turn. 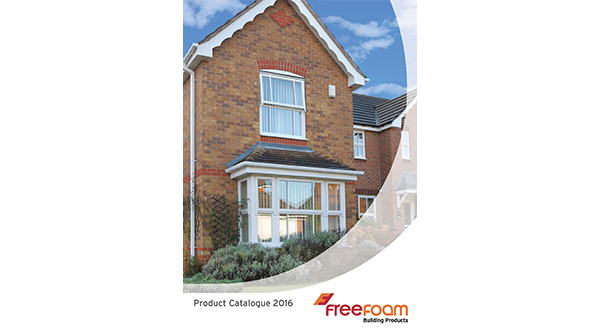 In total, Tradesmith can supply 14 different windows that are guaranteed to reduce noise within the home.